I have been a volunteer at the National Museum of Rural Life since the spring of 2014 and really look forward to the time I am able to spend at the farm. I am particularly interested in the social history of the farm and the 1950s setting. 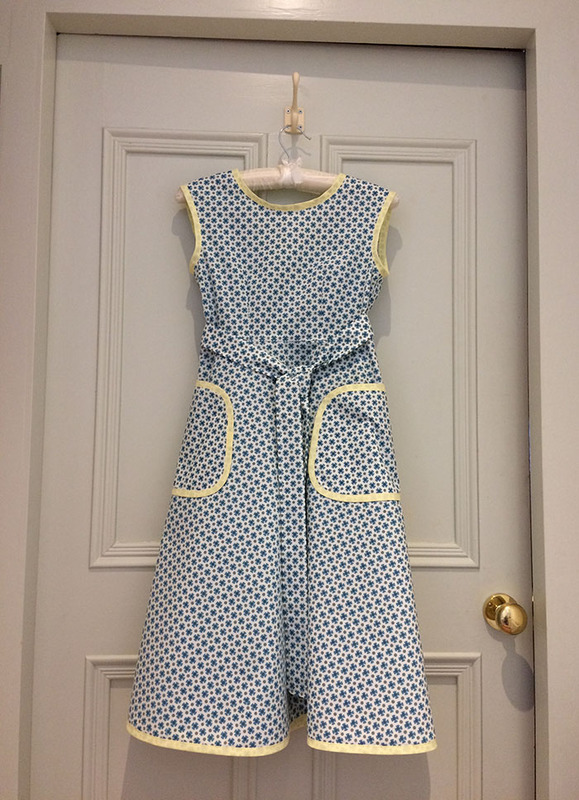 My training is as a graduate Historical Costumier so I was very excited when Shirley Maciver, the Manager at the National Museum of Rural Life, asked me last year if I would be interested in making a collection of 1950s children’s dressing up clothes for the Reid room at the farmhouse. A donation had been made to the museum for a project such as this and it was decided to use it to make some changes to the Reid room. 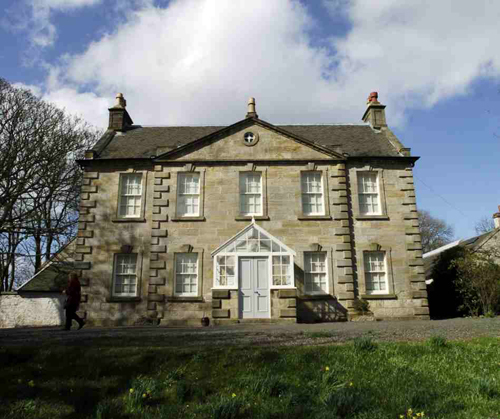 The farmhouse at Wester Kittochside. The project was very interesting, as the 1950s are a favourite historical period for me. The brief was to create a collection of dress up clothes for boys and girls between the ages of 5 – 10 years. I started by doing some historical research, studying images and primary source pictures of the time to pull together an overall idea of what boys and girls were wearing in the 1950s. It was also important to take into consideration that the costumes were for a rural Scottish farm setting. I particularly enjoy this stage of the historical research. The girls’ fashions are much easier to research, as boys’ clothes tend to be a lot plainer, generally short trousers with a shirt and jumper or tank top. Long trousers were only usual for more formal occasions. Fashion for British children in the 1950s had a very conservative innocence to it. In Britain, children were kept looking like children for as long as possible and then would go straight into adulthood and adult clothing. Teenagers were not heard of before the 1950s and youth culture did not arrive until the mid to late 1950s. 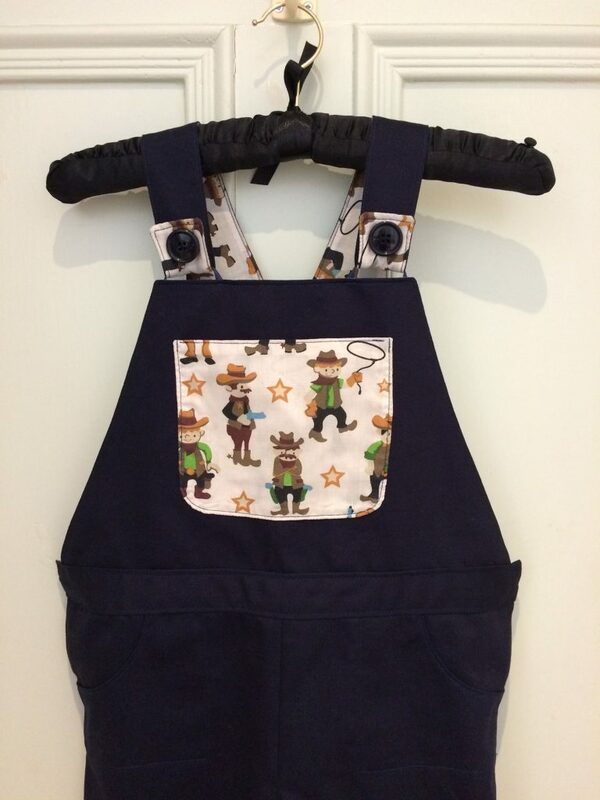 Cowboy dungarees for adventurous boys. I put together a suggested collection of 12 garments, six girls’ and boys’ outfits in a mixture of sizes. I then had a meeting with Shirley and Dorothy O’Neill at the museum to discuss my suggestions. I took images, samples of previous work and fabric samples. It was decided from this that it would be a collection of 12 garments and some accessories, and I would source some boys’ hats. 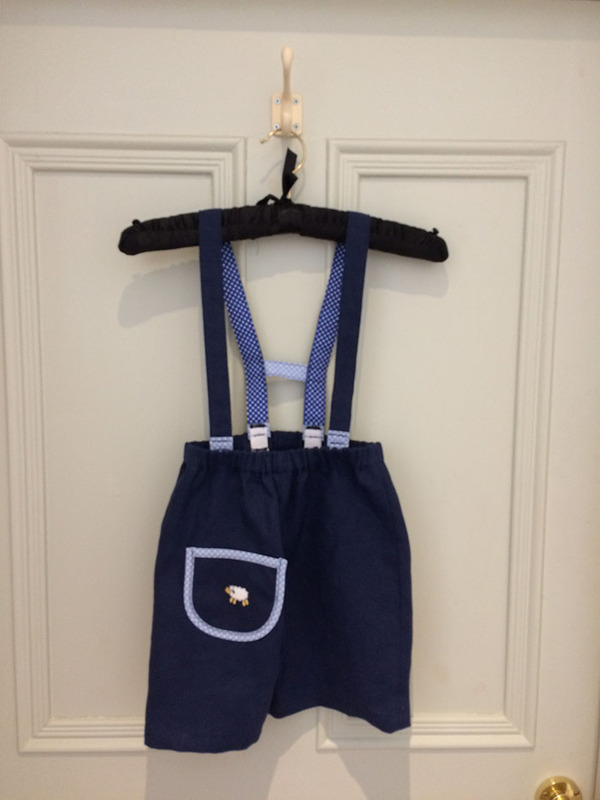 The collection would consist of a mixture of aprons, full dress wrap-around pinafores, a school gym slip, boys’ shorts, dungarees, loose sports shirts, hair turbans and boys’ caps. I would use dark fabrics for the boys, with some stripes and cowboy theme. 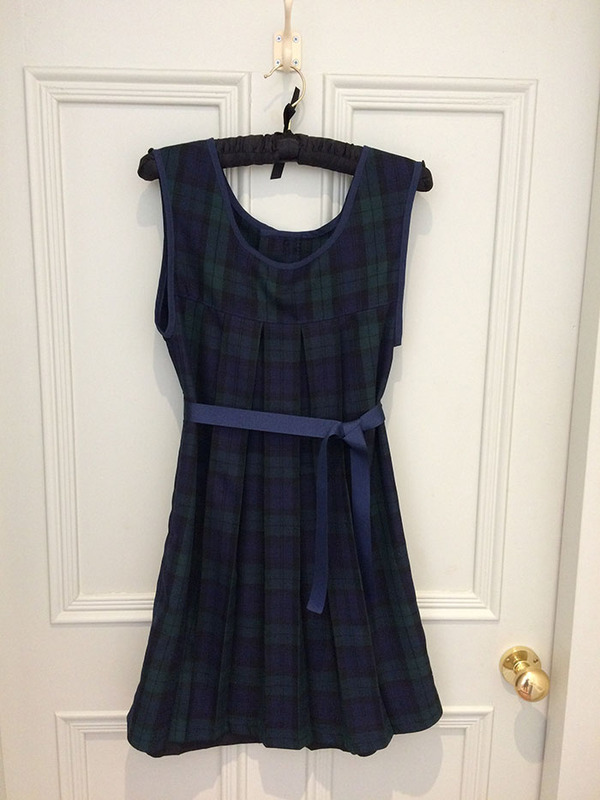 For the girls I would use floral fabrics, polka dots, vintage patterns and tartan. 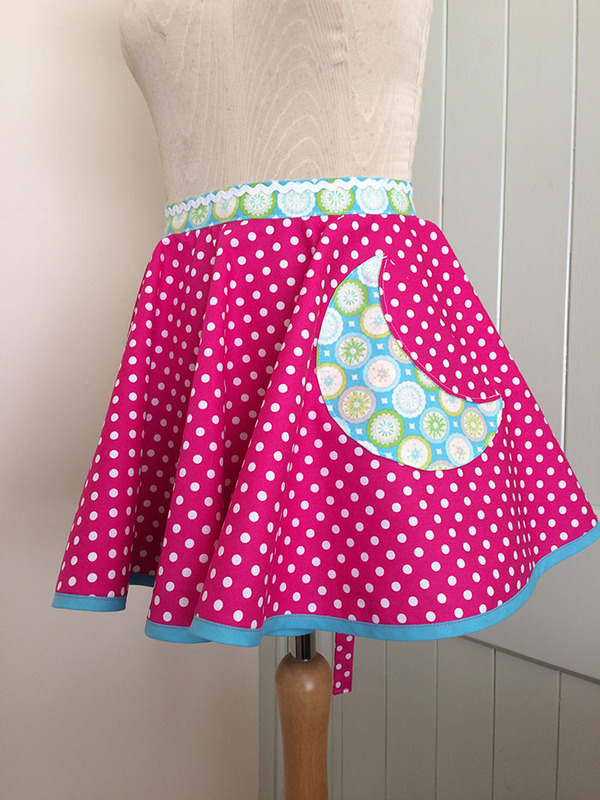 Brightly coloured apron for the girls. We discussed the need for the costumes to be robust, with easy fastenings and hanging loops for display. It was felt that it was important to include an element of ‘Make do and Mend’ as this is a rural setting. 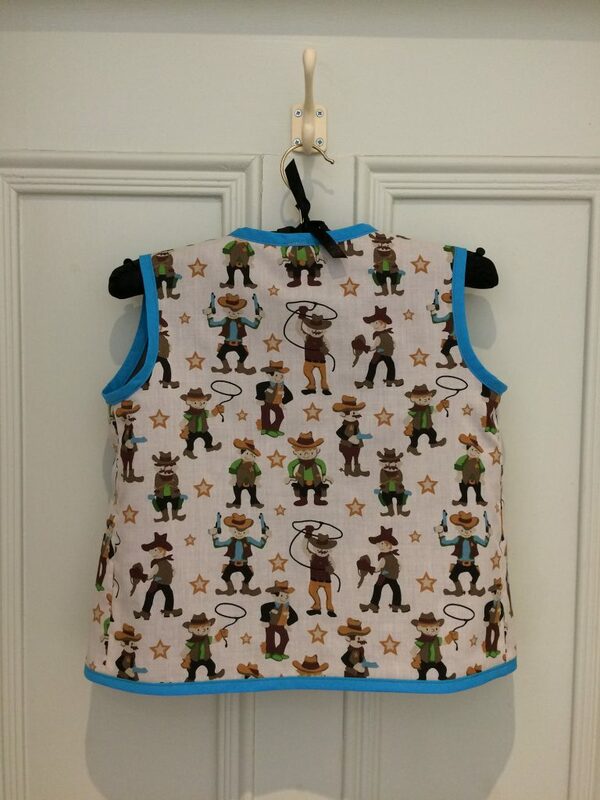 Therefore some pieces, including a boy’s shirt and two aprons, were recycled from damaged or unused adult clothing. Clothing rationing ended in 1949, but the Utility scheme did not end until 1952. The ‘Make do and Mend’ campaign, which ran during the Second World War, was still very much part of people’s way of life in the 1950s. It was still normal for people to reuse and refashion damaged, old and unused clothes and fabrics. Many clothes for children were handmade or hand-me-downs from siblings, friends or relations. So I set to work pattern drafting and working out sizes, selecting suitable fabrics and haberdashery. After cutting out and sewing, I had the collection completed for Easter. Some of these are now in use at the Reid room at the farmhouse for the children visitors to dress up. I enjoy it when I am there volunteering to see which costumes the children like and doing some maintenance on the clothes. 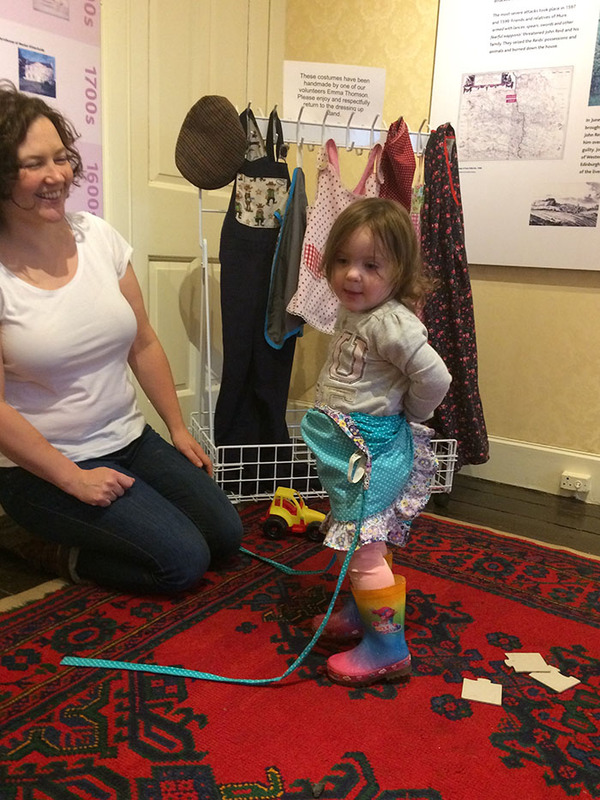 A young visitor trying on an outfit in the Reid room. I am very pleased that the Museum invited me to take on this project for them.